Why should I list my restaurant on the Yyppee platform? Because we have the best platform available for you to interact with your Diners, and for them to interact back with you. Yyppee brings together into one application everything you could want to offer, share, and communicate with new & existing Diners to market your restaurant… and it’s totally unequalled and not available anywhere in the world today. This is exactly what many other applications and CRM platforms are striving for now. They want to help you know and communicate with your diner better. But they are mostly singular functioning, and "10 times" the monthly cost with “one tenth” of Yyppee’s capability. We have it all, and all in one place! Should it matter to me that Yyppee is just getting started and is new in my area? No, not at all. We are also just getting started in the many other cities and states we are now in. But the number of restaurants on our platform, in any city in the US, is not material to Yyppee’s value proposition to Your Restaurant or to any individual restaurant owner anywhere. As we grow, you will benefit even more. But Yyppee’s immediate value is that it is the largest marketing, advertising and communications platform for restaurant owners to interact directly with their Diners. You probably know that 90% of your Diners are most likely regulars that come to eat at your establishment all the time and that 20% of them make up 80% of your gross revenues. They also most likely live and or work within a 3-5 mile radius of your restaurant. Yyppee’s platform allows you to market everything to them with unprecedented technology, at any time you want, with the touch of a single button, and without having to share the profits of what your Diners spend with you. All this is done at a price point that is so incredibly low its hard to believe. But thats the advantage of technology priced fairly for its diner, and that’s you the restaurant owner. Also, Yyppee makes it so much easier for your Diners to stay connected to you and hear from you, thus making it easier for them to visit you more often and respond more favorably to your marketing efforts. Should I expect Yyppee to bring me new Diners right away? No. We are not a GROUPON, OPENTABLE or GRUBHUB, etc, that will market your restaurants services to their own, and your own diner base in exchange for a very nice piece of your profits. This is where Yyppee shines. It’s time for restaurant owners like you to start taking back the control of your own diner base. We have heard and seen this from many of your smart restaurant owners. You need to bring your Diners in more often using your own marketing platform..., and that’s exactly what Yyppee is for you and does for you. And this is all done for $69.00 per month, no contract to sign either. Cancel whenever you want. Should I wait until Yyppee is bigger in my city before I sign up and start using it? In every market place that any new company enters, their is always a period of growth. You start one step at a time. Our initial growth in any city will not negatively effect Yyppee’s value for your restaurant. We will grow in your area just like we did, and are, in other markets. You would not wait for other restaurants in your city to market themselves to their Diners before you would market your restaurant to your Diners? Of course not! No restaurant owner would ever do that. Do you use flyers, mailers, or advertise in local magazines to market your restaurant to Diners? If yes, you know the cost associated and the percentage of Diners that take action. You also know that 90% or more of these materials get thrown away. Within your restaurant’s profile on the Yyppee platform, there is a section dedicated to always making sure these marketing pieces are available for Diners to see all the time. In fact, for Diners who tap the notification request for your restaurant, they can be notified every time you put up a new marketing piece or make a change to an existing one. Do you ever have hourly, daily, weekly or monthly specials that you offer Diners? If the answer is yes, how do you let them know ahead of time all about your new and current specials, other than when they happen to be in your restaurant? Yyppee provides a section specifically dedicated to listing out all your specials, were you can add, subtract or change them as often as you would like. Diners can now see your specials all the time and those that want to can be notified through push notifications every time you make a change. Are you able to reach all your Diners with the click or tap of a single button in order to tell them everything being offered at your restaurant? Every time you update or change any of your restaurant’s features on Yyppee, within seconds, it shows up on the Yyppee platform for all new & existing Diners to see. And for those Diners who requested, a push notification is sent directly to their phone alerting them of your updates. Do you offer your Diners any kind of free drink, free food items or a special discount for dining at your restaurant on their birthday? Yyppee has a section for Diners, which displays your birthday gift offer. The Yyppee app also automatically invites Diners to your restaurant for their entire birthday month through a direct push notification. Do you use marketing websites such as GROUPON, RESTAURANT.COM, LIVINGSOCIAL, TRAVELZOO, GILTCITY, etc. to market your restaurant? All the different deals you must create separately on these websites listed above, can now all be created individually on Yyppee. And the best part is…there is no revenue sharing. You keep it all! 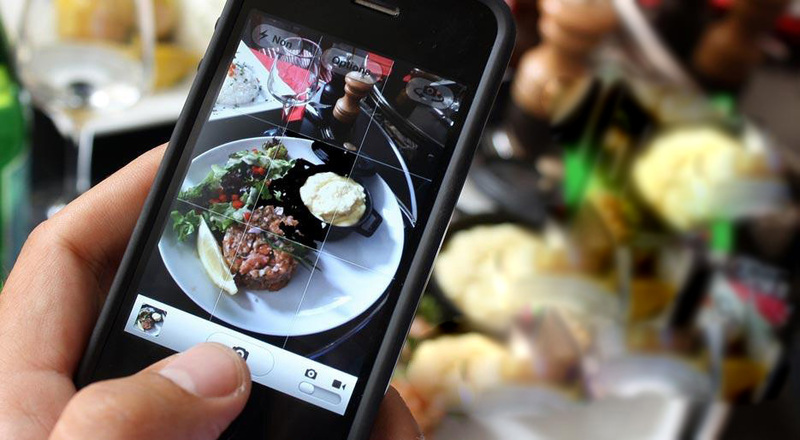 Are most of your Diners posting photos of your restaurant or your food items, along with positive praise on their social media sites every day? Incentivize your customer even more by offering an additional discount or offer by posting your restaurant on their social media. Yyppee provides the wording that goes with each post. Yyppee has seamlessly integrated the ability and motivation for Diners to make posts. And sharing them is easy and beneficial for Diners to do. This gives your restaurant great organic exposure! Do you sometimes feel overwhelmed with how many different websites you must use to effectively market your restaurant to Diners? Stress no more! Yyppee is an all-inclusive application. It covers everything and anything you could want to offer, share, and communicate with Diners all in one simple to use application. Are you tired of downloading and searching multiple apps and websites to get access to everything restaurants want to offer and share with you? Yyppee will simplify your life! It will help clear out some of your restaurant based mobile apps by giving you access to everything your favorite restaurants want to offer and share, all in one mobile application. Do you sometimes find it frustrating and time consuming trying to search and figure out which delivery sites a particular restaurant might use? Yyppee makes it simple by first, letting you know which restaurants offer delivery and/or pickup, and then with the simple tap of a button, we take you right where you need to be to place your order. Have you struggled to remember the name of that special restaurant you once ate at, and or do you have or use a mobile app which contains a list of your favorite restaurants? Visiting another state and can’t remember that great restaurant you ate at or just like to keep up with your local favs? Yyppee solves this problem by allowing you to create a list of all your favorite restaurants which gives you access to everything going on at that restaurant through push notifications. Would you like to celebrate your birthday and anniversary all month long by getting free food and drink items along with extra discounts every day during your birthday and anniversary month? Yes, you read it correctly. Yyppee may be the only restaurant based mobile application that celebrates your birthday and anniversary every single day, all day long, during the entire month of your birthday and anniversary!